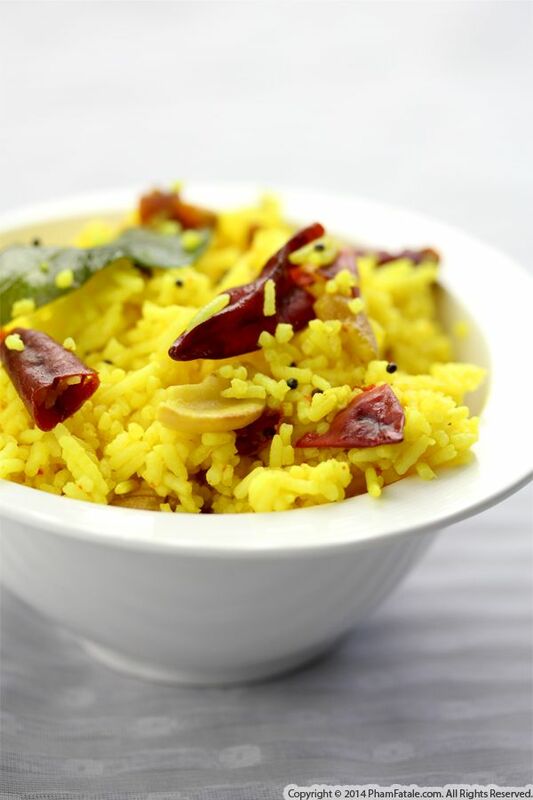 In a mixing bowl, combine the chilled basmati rice, 2 tablespoons lemon juice, lemon zest, turmeric, paprika, red chili powder and salt. In a pan, heat 1 tablespoon oil. Add garlic and ginger. Cook until fragrant, then add the onions. Cook for 4-5 minutes until lightly golden, then transfer to the rice. Add the remaining oil to the pan. Once the oil is hot, add the whole dried red chiles, chana dal, the mustard seeds and curry leaves. Once the oill starts splattering, add the cashew nuts and cilantro. Add the rice. 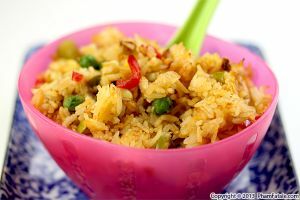 Let it cook for about 2 minutes, scraping with a spatula any grains of rice that may be stuck on the pan. Drizzle with the remaining lemon juice. Toss well. Finish the dish with a few mounds of ghee. Mix well. You could add coconut powder (if using). Check seasoning and add more salt, if necessary. 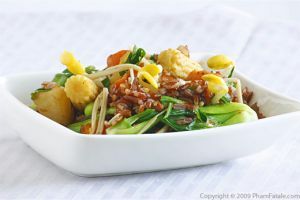 You could use freshly steamed rice but using good "dry" leftover bamasti rice with prevent the dish from turning all mushy. Your best bet is to chill the rice overnight. You can find most of the ingredients listed in any Indian grocery stores. 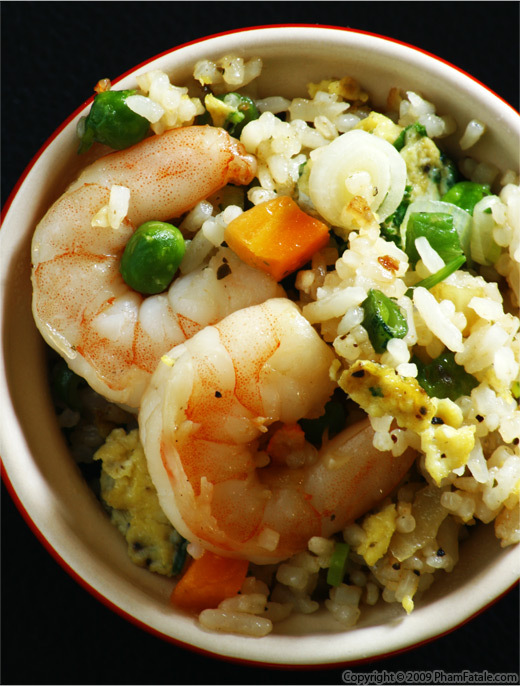 Coating each grain of rice in fat prevents them from sticking to one another. 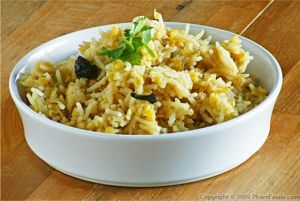 Once the rice grains are popping, drizzle in the remaining lemon juice. For a vegan version, simply omit the ghee from the recipe. Published By: Jacqueline Pham on September 3, 2014.